Hmmm it looked promising I immediately removed the lid to smell it and see theconsistency of the butter. 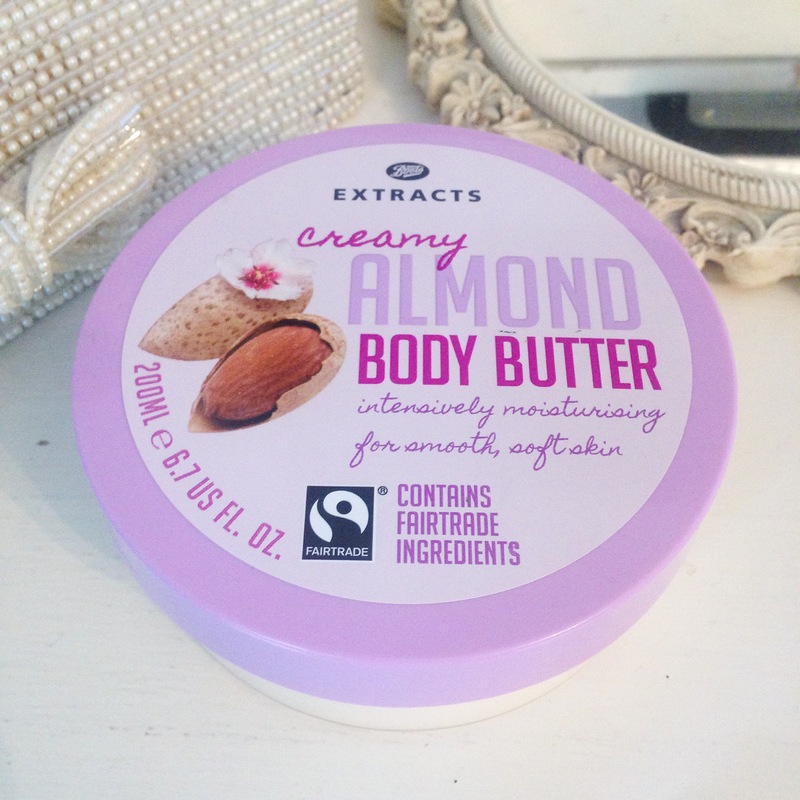 It did smell good for a £6 body butter so I decided to throw it in my basket and give it a whirl. As I applied this thick butter it felt very creamy without being greasy which is great when you are in a rush in the mornings and need to get dressed as soon as you’ve finished applying. The smell is lovely however as soon as you’ve applied you can’t smell it anymore 😦 this I find disappointing as the Laura Mercier Body Butter last’s and last’s and I constantly get stopped at work throughout the day to be asked “what are you wearing you smell lovely” I shouldn’t compare this as the price points are completely different. All in all this is a nice body butter that does it’s job and keeps my skin feeling hydrated throughout the day. I wouldn’t rush to re-purchase (sorry boots) however I will enjoy using it all up. What Boots Extract Fairtrade beauty products have you tested? 10 Things I’ve learned now I’m 40!